Lidwine Sauer is Director of Insights and Trends for Ubisoft's Strategic Innovation Lab. For more than 10 years, she’s led innovation projects to push the organization forward. In her current role, Lidwine helps Ubisoft anticipate the opportunities that the future will bring. At D.I.C.E. Europe 2017, she’ll be discussing how creative organizations can best take advantage of rapid changes and innovations. In the conversation below, she talks about the Lab, outside innovations that influence gaming, common mistakes companies make when embracing new technology, and whether advances in AI will lead to Skynet. For people that aren't familiar with Ubisoft's Strategic Innovation Lab, would you provide an overview of the department? The mission of the Strategic Innovation Lab is to help Ubisoft's teams anticipate the future. We monitor and analyze changes happening in various fields -- technological fields, society, and business practices. Our goal is to have a global vision of the different forces that shape our industry. This way, we identify different opportunities for Ubisoft. That's the general context of our work. In your keynote, you’ll be talking about innovations in one industry disrupting another. What are some of the outside innovations you see permeating gaming? We feel that it's very important for game developers to understand that the industry doesn't exist in a vacuum. The industry is shaped and influenced by lots of different things. Innovation in technology, of course, translates well into what we do in games. Our gamers are also consumers of other products in other industries. Their expectations will be shaped by what they experience outside of our industry. One of the trends we talk a lot about it is the development of artificial intelligence -- more specifically, the development of machine learning. That's an example of something that's developed by the tech giants, mostly the Internet giants like Google and Facebook. They're very much at the forefront of these AI developments. That's going to spill into the gaming industry; it's already changing how we make games and changing how we play games. For example, we have a game that's called Star Trek: Bridge Crew that offers the opportunity for players to interact with the game AI through natural language. The technology behind the game is derived from things that have been worked on in other industries. Earlier I mentioned how consumer behavior has evolved. AI is definitely going to change consumer expectations. We're seeing more and more people using artificial-intelligence assistants, for example. That's going to shape their expectations, because more and more experiences will be frictionless. They'll be expecting the same type of frictionless experiences in games too. That's an example of what's happening outside the gaming industry influencing it on various levels. You mentioned that the Strategic Innovation Lab tracks changes in technology and business practices, but you also mentioned that it tracks societal changes as well. How does that play into what game publishers and game creators do? There's the Maker Movement, for example. The Maker Movement is basically individuals taking control of technology and taking part in the development of new technology. We're seeing, as a society, people getting more control of what used to be the turf of big companies. That's one example. A similar thing is happening in biology, if you look at bio-hackers. It's the same philosophy applied to things like genome sequencing. This philosophy of taking control of what used to be done by big companies is something we also see in entertainment. We have YouTube, for example. People are creating entertainment for their peers. People don't just want to be consumers of entertainment. They want to participate. That's why Ubisoft is developing open worlds. Our worlds are very rich because we'd like to give players opportunities to create unique and personal experiences. We want them to have control of their gaming experiences and create something very unique. It's an example of how a very broad social trend translates into gaming. The console gaming market has been relatively stable for decades. Do you see any big changes there? When we look at the console market, we don't see it as stable. Let's take the image of a bicycle. If a bike doesn't move, it falls. An industry or a market, if it doesn't innovate, it crashes. The same goes for a company too. If there's no innovation, the company dies. When we look at the console market, we see a lot of different things happening. We see a lot of opportunities for game developers. We see a lot of opportunities for gamers to have different types of experiences. One recent example is the Nintendo Switch. It has brought and is going to bring innovative experiences to the market. Ubisoft is a very strong supporter of the Nintendo Switch. Even if we don't look at the introduction of new consoles, we're seeing game developers experimenting with different business models. Of course the technology is always helping us to provide better, more immersive, and more interesting experiences. So in our view, the day you stop innovating, you die. What are some mistakes publishers and game creators make when embracing new technology too quickly? Ubisoft has a long history of embracing new technologies early on. If we go back in time, Ubisoft released the first racing game that you could play online in real-time. That was in 1997. More recently, Ubisoft embraced motion control. And even more recently, Ubisoft has been an early adopter of VR. So we have experience in what happens when you embrace new technology. I would say that one of the mistakes that could happen when you embrace new technology is forgetting that technology has to be at the service of the people. In our case, new technology has to be at the service of gamers. When Ubisoft embraces a new technology, we always ask ourselves, "What can this technology do for gamers? What's unique about this technology? What does it bring that nothing else can bring?" Another mistake that can happen is not being mindful of the balance between the risks you're taking and the resources you're putting into the venture. At Ubisoft we experiment with new technologies in a lot of different ways. We have teams that are allowed to explore new ideas. A recent example is Starlink: Battle For Atlas, which combines digital and physical gameplay. At the Strategic Innovation Lab, we also have other approaches. We prototype content with very limited resources, with the objective to learn. The idea is to accelerate the learning process. We also partner with startups. That's a way of mitigating risk when you explore a new technology. We just announced that we'll be leading the games and entertainment program at one of the biggest spaces for startups. It's called Station F [https://stationf.co/] and it's based in Paris. The reason we partner with startups is that we can exchange expertise. Ubisoft can bring its expertise in gaming and entertainment, while startups can bring their expertise in different technologies that we haven't explored yet. That's a way to mitigate risks when you embrace new technology. How does a company determine the longevity of a popular trend? For example, Skylanders and Disney Infinity were some of the hottest properties in gaming not too long ago. One is gone and the other appears to be fading. They were both riding the same trend that I mentioned earlier -- blending the digital world with the physical world. While I'm not familiar with how the execution was done in those two cases, sometimes you have companies that are riding the same trend and some succeed while some don't, based on an execution decision. Taking a step back, on how you work with trends in a broader sense, at the Lab we feel like analyzing trends is like playing with Google Earth. You can zoom in and focus on short-lived trends and fads. Before the summer, for example, fidget spinners were the big craze. Now that's over. If you de-zoom, you see that there are trends that are evolving and maturing, not over the length of months, but in years. We call those "mega-trends." The trend of blending digital and real-life worlds is a mega-trend. Both Skylanders and Disney Infinity are good illustrations of this. If you zoom out even more, you have trends that mature over decades. Let's call them macro-shifts. I'll be getting into more detail on one of them during my talk. At the Lab, what we try to do is understand mega-trends and keeping in mind the macro-shifts on which they build on. We don't focus much on trends that are fads or short-lived. VR has made some big strides over the last few years. Do you see it becoming a standard any time soon? Yves Guillemot has said in the past that VR has been slower to take off than we expected, but with games increasing in quality, the market will expand. I believe that the most important thing to grow a market is to offer really powerful experiences that can't be experienced on other mediums. That's why Ubisoft is developing really original VR experiences with a strong emphasis on social components. We're really trying to explore what's unique about that technology. The more we do that as an industry, the more VR will develop. 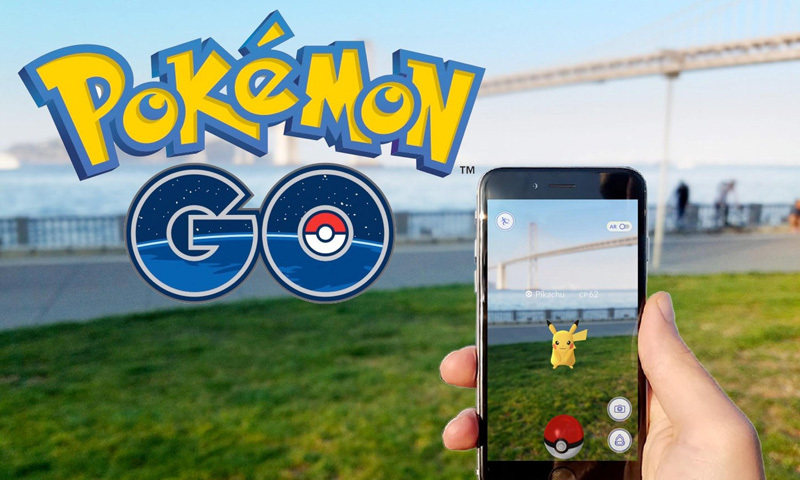 Pokemon Go showed that AR can be hugely successful, but it also seemed like an absurdly perfect confluence of IP and tech. 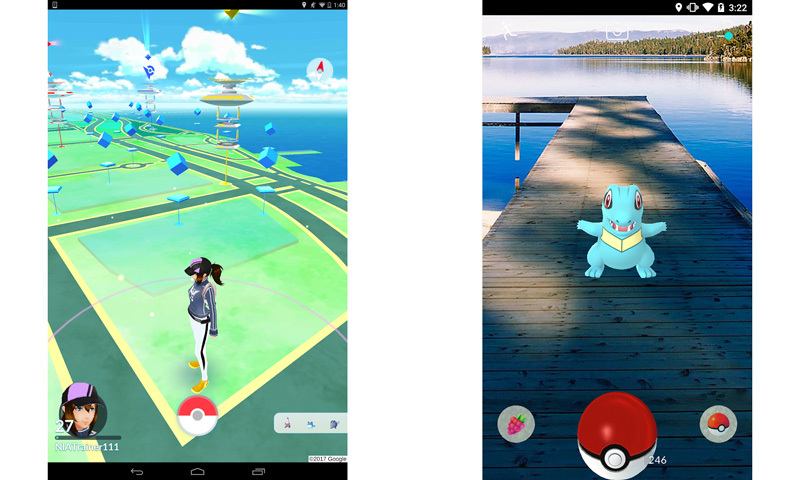 What do publishers have to do create a perfect AR storm similar to Pokemon Go? Some would argue that what made Pokemon Go a hit was not really AR, but its geolocalized gameplay, which really matched the IP. However, I think AR was a major ingredient in its success. Seeing your fictional character in your own environment created a lot of "wow!" moments. I can remember my children screaming in the living room when they saw their favorite Pokemon appearing on the couch. That's what I think is unique about AR. It brings fictional worlds into the real world. We're going to see more and more interesting experiences built around AR, especially since Apple released ARKit. We're already seeing very interesting ARKit experiences. I expect AR to take off. Again, what's going to be very important is to think about what's unique about this tech, what does it allow us to do that hasn't been before, and how it's going to allow us to create a new entertainment experience for gamers. Earlier in the conversation you mentioned AI as technology from the outside that's starting to influence games. Facebook's Mark Zuckerberg is very positive on AI, while Tesla's Elon Musk almost seems afraid of it. Since the Strategic Innovation Lab has studied AI quite a bit, can you say if there's any danger of Skynet and Terminator happening in real life? There are voices in the tech industry that say AI is a big danger, but it's not because it's going to lead to the creation of Terminators, but more because of the ethical questions that arise with the use of AI. In terms of possibly creating a Skynet-like AI, I believe it was Baidu Chief Scientist Andrew Ng that said worrying about AI leading to Skynet is like worrying about the overpopulation of Mars. [Laughs] I think I'll stay on that positive view. At the Lab, we believe that AI is going to bring a lot of opportunities in terms of how we create games and how new experiences are going to emerge, but I don’t think we have to worry about Terminators.